Intimate partner violence is a complex, ugly, fear-inducing reality for large numbers of women around the world. When violence exists in a relationship, safety is compromised, shame abounds, and peace evaporates. Violence is learned behavior and it flourishes most when it is ignored, minimized, or misunderstood. When it strikes the homes of deeply religious women, they are: more vulnerable; more likely to believe that their abusive partners can, and will, change; less likely to leave a violent home, temporarily or forever; often reluctant to seek outside sources of assistance; and frequently disappointed by the response of the religious leader to their call for help. These women often believe they are called by God to endure the suffering, to forgive (and to keep on forgiving) their abuser, and to fulfill their marital vows until death do us part. Concurrently, many batterers employ explicitly religious language to justify the violence towards their partners, and sometime they manipulate spiritual leaders who try to offer them help. Religion and Intimate Partner Violence seeks to navigate the relatively unchartered waters of intimate partner violence in families of deep faith. The program of research on which it is based spans over twenty-five years, and includes a wide variety of specific studies involving religious leaders, congregations, battered women, men in batterer intervention programs, and the army of workers who assist families impacted by abuse, including criminal justice workers, therapeutic staff, advocacy workers, and religious leaders. 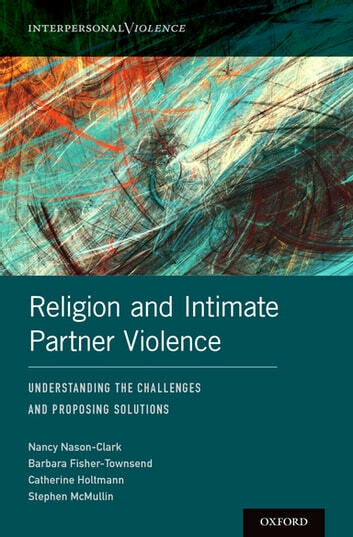 The authors provide a rich and colorful portrayal of the intersection of intimate partner violence and religious beliefs and practices that inform and interweave throughout daily life. Such a focus on lived religion enables readers to isolate, examine, and evaluate ways in which religion both augments and thwarts the journey towards justice, accountability, healing and wholeness for women and men caught in the web of intimate partner violence.